Students at Summit Public School: Rainier showed off their arts skills and performed for the community during the Celebration of Learning on May 11. Summit Rainier had their Celebration of Learning to end the Expeditions year, and students had to present or perform different forms of art depending on their Expeditions course. The Creative Writing class prepared a Poetry Slam to present during the Celebration of Learning. For the Poetry Slam, five teams were instructed to write three different poems, either individual or group, to read in the Slam. Five judges were chosen from the audience. They judged the groups anywhere from zero to ten (decimals included). Little by little the audience began to build up. People took their seats and waited patiently for the Poetry Slam to begin. While preparing the judges, an intro poem was read by one of the students. After that, the Poetry Slam officially began. The young poets wrote about a variety of things. There were poems about gender roles, society, family and even some short stories. 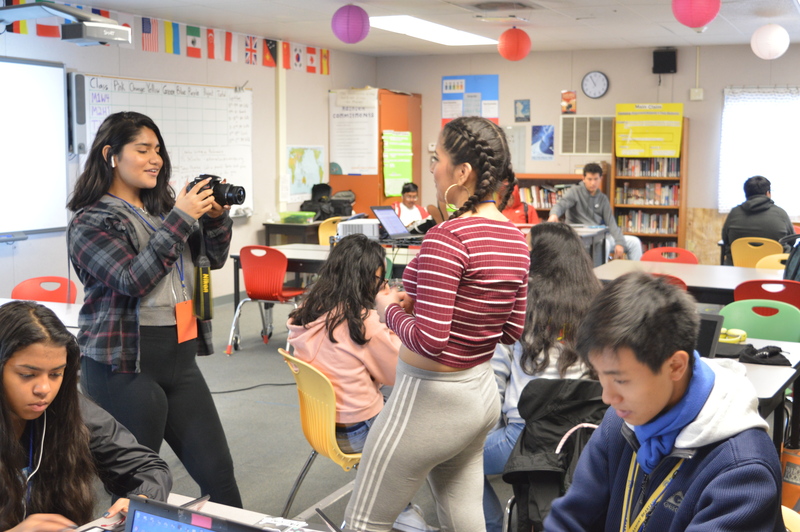 Rainier freshmen Maggie Silva, Toan Chau and Ashley Venegas from Team 5 close out the Poetry Slam with their poem about a potato’s life on Earth. Then Creative Writing teacher Elizabeth DeOrnellas announces the night’s results. Rainier seniors Hunter Lindstrom, Austin Zhen and Anthony Nguyen-Pham, along with Rainier sophomore Andy Nguyen, present their poem about the seasons. As the Poetry Slam was coming to an end, all the scores for the teams began to add up, soon revealing the winner. The final scores were announced from last to first. The winning team of the Poetry Slam was the Great Artists (also known as Team 2). Rainier seniors Austin Zhen, Hunter Lindstrom, Anthony Nguyen-Pham and sophomore Andy Nguyen celebrate their Poetry Slam win. Team 2 celebrate their win with excitement and yelling. 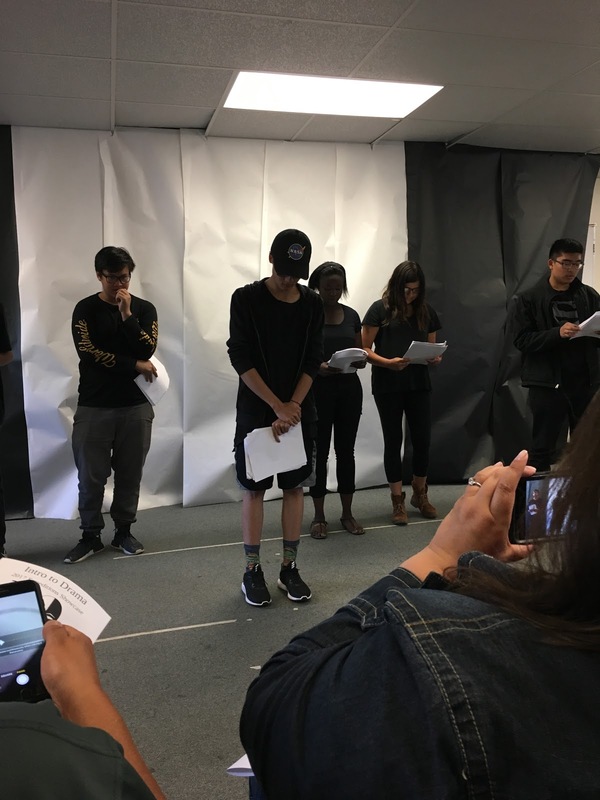 On May 11, the Advanced Drama class held a big performance at the Mt. Pleasant theater. The class had been working for four weeks on the making of the performance. The performance was meant to be a highlight of all of the skills that the students have been taught over the course of the year. The performance included six ten-minute plays and one thirty-minute play. Overall, it was a success for the advanced actors, showcasing many styles of theater. The Advanced Drama students perform in the style of Greek theater. How was your performance last night? “I memorized my lines and took time to know my lines,” Little said. Why did you choose drama this year? “ I chose drama this year because I had a lot of fun doing acting last year and wanted to give it another try,” Franco-Lee said. “I had a lot of fun last year, and I wanted to experience it again,” Little said. In your opinion, what was the best performance last night and why? “Absent Grace ’cause I was in it, and I can relate most to it,” Little said. Rainier sophomore Briahana Martinez starts off this clip. Students from the Beginning Drama class continue to perform for the audience. Each team presented short clips. To view more student film clips, check out this YouTube channel. Staff Writers Ashley Venegas, Andrew Sanchez, Yelitzi Sanchez and Hunter Tilbury contributed to this report.